Shipping Hazardous Materials & Waste. Friday January 22nd, seats available. In this class we will cover the DOT 49CFR, EPA 40CFR & OSHA 29CFR regulations regarding the packaging, shipping, paperwork processing for the shipping of Hazardous Materials & Waste via Air, Vessel, Rail and over the Road. You will leave with all of the tools necessary to comply with all regulations while keeping your staff and the public safety as top priority. This class will satisfy your 3 year DOT training requirements. Who Should have DOT HAZMAT Training? NEW OSHA-GHS International Harmonization Requirements and DOT’s HM-215K This is the only available Compliance Guide that provides all the critical interfacing DOT/EPA/OSHA Hazard Communication and Compliance requirements for Hazardous Materials, Chemicals, Substances and Wastes. Greenville Safety can also offer 3rd party Drug and Alcohol monitoring programs to ensure compliance for any DOT or FMCSA guidelines, or even for pipeline workers. We also offer auditing services to ensure contractors are complying. Greenville Safety will review testing results, training, communication, recordkeeping, and sub-contractor compliance. 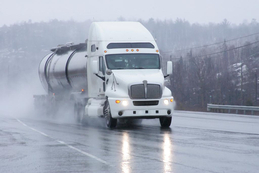 If you have drivers on the road with CDL's you are subject to comply with these regulations. Trucking companies, Utility Companies, Pipeline workers and more.